Diana Jettcrash, more commonly know as Terren Mueller, was crowned the winner of the 2019 Rider Drag Race. One of Rider’s largest annual events returned for its third installment on Feb. 1. Students filled the theater in the Bart Luedeke Center to watch the Rider Drag Race as four competitors took the stage for a fun-filled, jaw-dropping night full of laughs and praise. The event was co-hosted by junior musical theater major Anna Sanzone from the Student Entertainment Council and defending Rider Drag Race champion and junior English major Sean Hubert as Spectra Electra. The event was broken down into three segments: individual performances, catwalk with question and answer and lip sync. The 2018 Rider Drag Race champion, Spectra Electra, opened the show a with a performance. 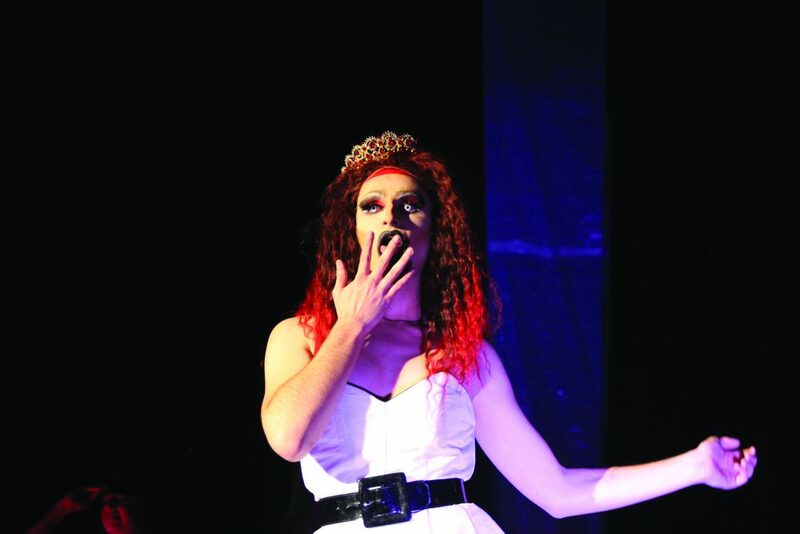 Each of the four drag queens had unique and distinct styles in their personalities, looks and presentations, and, in the end, 20-year-old junior musical theater major Terren Mueller was crowned champion as his drag persona Diana Jettcrash. 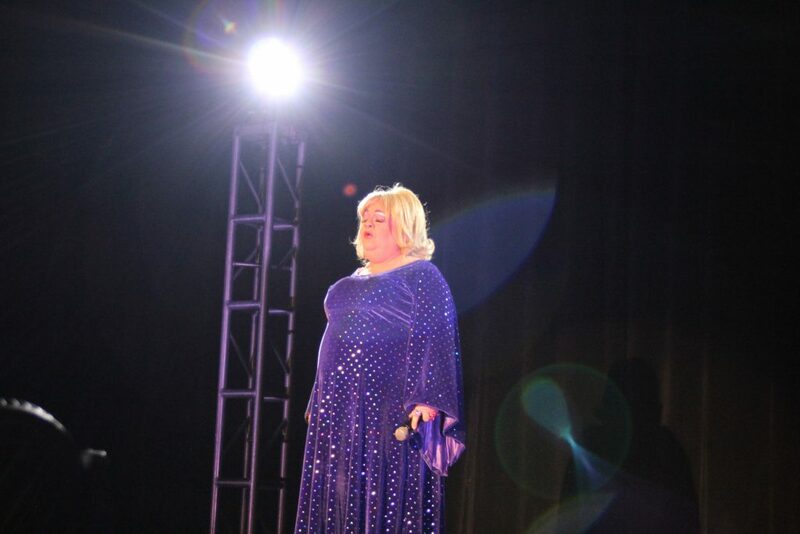 Despite being a rookie competitor, Mueller was just as prepared as some of the show’s returning drag queens. Fans in the audience voted for the winner by donating toward a specific competitor through Venmo or with cash. In total, just under $1,900 was raised – over three times what was raised from last year’s Rider Drag Race. The money raised will go to Rider’s Relay for Life as well as to New Hope Celebrates, a local LGBTQ+ pride organization based out of New Hope, Pennsylvania. The night also featured special appearances from two distinguished drag queens—Miss Pumpkin, who has raised over three-quarters of a million dollars for AIDS related causes, and Phoebe Manntrappe, who displayed a softer side of drag to the audience. Miss Pumpkin, a veteran drag queen, made a special appearance during this year’s drag race. Nick Barbati, the assistant director of campus life, was thrilled with the turnout of the event. “Two years ago, we brought it back as a small-scale program in the Rider Pub and we packed it out, and the event was awesome. So last year, we thought the event was big enough to try putting it in the [BLC] theater and we sold out,” Barbati said. The 2019 edition of The Rider Drag Race was also a sold-out crowd. For the people involved and for many of the spectators, the Drag Race was not only about having a good time, but rather it was a way of respecting and inspiring people to be themselves and do what they love and feel in the harsh world of social politics as well as reflecting on how far society has come in its acceptance. Mueller expressed that his goal was to make the audience feel both fear and attraction to his character.